Update: IPVanish lied to their customers about their logging policy. Therefore, we do not recommend to use them. More here. 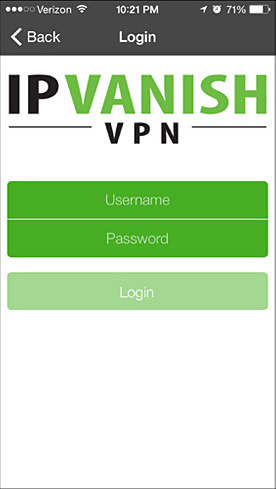 IPVanish is now one of the leading providers of virtual private networking (VPN) services, with servers in more than 50 countries. It’s possible to remain totally anonymous with IPVanish as customers have the ability to pay via Bitcoin and merely provide the company with an email address and password. IPVanish have a zero logs policy in place lied about their logging policy. Fileshare customers will find it’s a great provider for P2P and torrenting. Servers are available in some unusual locations like Egypt and Panama, giving some expats ample opportunity to access their favourite sites back home. 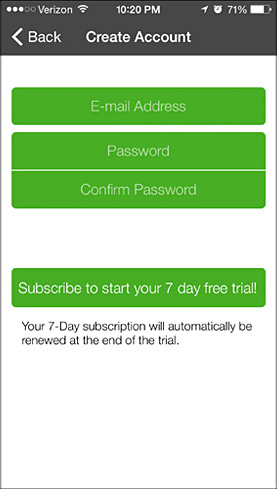 Customers can download the IPVanish software to a number of devices although it’s only possible to use two devices simultaneously. Customer support is available via live chat during normal working hours and also email ticketing, while the company website also offers extremely comprehensive FAQs and details set up guides for devices. Customers wanting to set up IPVanish for iPads will find they can download an auto set up app from the Apple store or follow the easy visual set up guide provided by IPVanish. Detailed instructions are also given for PPTP, L2TP and OpenVPN protocols. Setting up an iPad for PPTP protocol is just a case of navigating to the “Settings” screen and selecting “General” category. 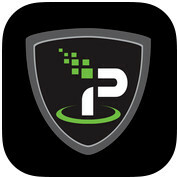 A custom “Network” needs to be put in place for IPVanish on the iPad, by accessing the VPN item at the top of the screen. 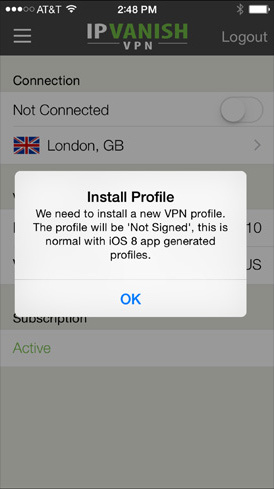 If users do not already have VPN installed on the iPad the screen will indicated that it is “Not Configured” and it is simply a matter of tapping this item to access the VPN settings page. Customers need to choose the PPTP protocol from the VPN configuration setup pane and then move down the screen to add a descriptive name for the new VPN service and add a host from the list of available servers. The “account” and “password” fields need to completed with the exact details provided to IPVanish as the company’s authentication system is case sensitive. It is not necessary to input any details into the “RSA SecurID” box and this should always be switched to the “Off” position. The “Send All Traffic” box should be in the “On” position. 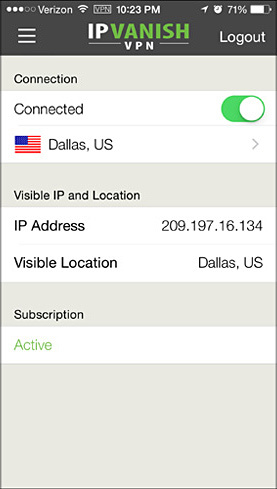 Customers then just need to click on the blue “Save” box in the upper right hand corner of the screen and all settings will be saved to the device, while the screen reverts back to the VPN connections page. Testing the connection is just a matter of selecting the IPVanish connection from the “Choose Configuration” box at the top of the screen and clicking the “On/Off” switch over to “On”. The connection via IPVanish will then be active and this can be confirmed by looking at the “Status” box underneath the “On/Off” switch which should be displaying a “Connected” status with details of uptime counts to the right hand side. 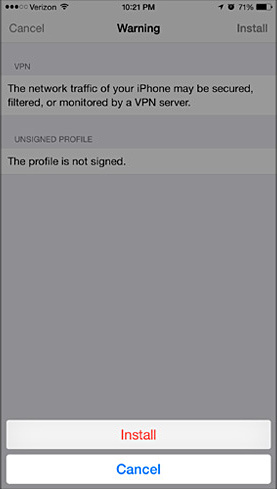 If the iPad is displaying an “Authenticating” message and does not move beyond this point, it is possible the password or account details have been entered incorrectly, so customers can try repeating this step. 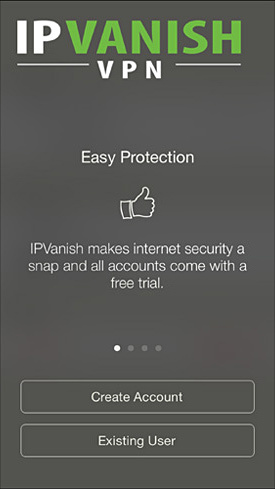 When the VPN is activated on the iPad customers can log into any site with security as IPVanish provides a securely encrypted Internet tunnel allowing safe transmission of all data. Even insecure places like WiFi hotspots are secured for VPN customers, so eavesdropping and hacking will never again be a potential problem. 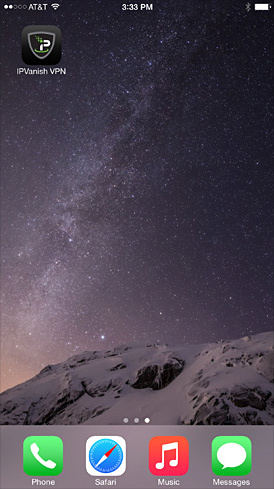 When the iPad cuts into “sleep” mode or screen lock the IPVanish connection is disabled, due to Apple’s inbuilt technology, so customers need to be aware that the connection will need to be re-established when mobile Internet is required again. Lied about their logging policy!